Nationwide is raising its age limit for people paying off mortgages by 10 years to 85, in the latest sign of the impact of rising house prices on buyers. The building society said the increase was due to "growing demand", and the limit would be in force from July. It means a 60-year-old could take out a 25-year mortgage as long as they prove they can afford the repayments. The move comes as Halifax increases its age limit for mortgages from 75 to 80 from Monday. There have been calls for the industry to do more to help older buyers after tougher mortgage checks, introduced in the wake of the financial crisis, have made it harder for middle-aged people to get a home loan. Rising house prices have exacerbated the issue, with many people not able to afford to buy their first home until they are in their thirties or forties. Nationwide said the new age limit would apply to existing customers for all its standard mortgages, but the maximum loan size would be £150,000, and could be no greater than 60% of the property value. "Access to the mainstream market has been a challenge for older customers, resulting in their needs going unfulfilled. This measure helps to address these needs in a prudent, controlled manner," said Nationwide head of mortgages Henry Jordan. Tom McPhail, head of pensions research at Hargreaves Lansdown, told the BBC the change could shake up the mortgage market. "Why pay off the mortgage at at all?" he said on Radio 5 Live. "As long as the value of the property is there to meet the liability in the future, why worry about paying it off when you are alive?" he added. 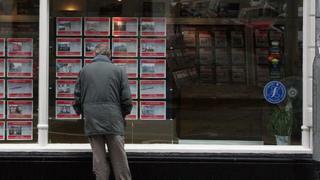 House prices grew 7.6% in the year to February, official statistics suggest. And a recent survey by Halifax suggested that one in three 20- to 45-year-olds expected to be working beyond their retirement age to pay off their mortgage. Halifax said its decision was a response to changing demographics, with people living and working for longer. The policies of rival mortgage lenders for older borrowers varies. Santander, for example, says 75 is its cut-off while RBS' upper age limit is 70. HSBC says it does not turn down mortgages on the basis of age, but reviews applications of those over 75 on "a case by case basis". At Barclays the upper age limit is 70, or the customer's retirement date - whichever is sooner.